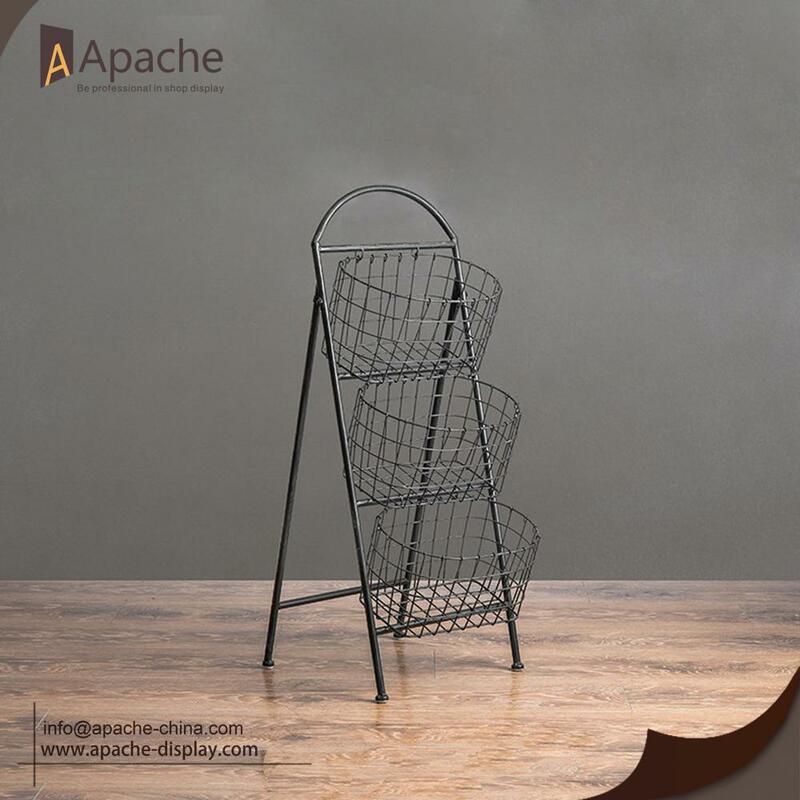 This Multi-Functional Metal Magazine Wire Shelf Stroage Rack has three wire baskets can display magazines, newspapers, books, photo frames or other you want to display. 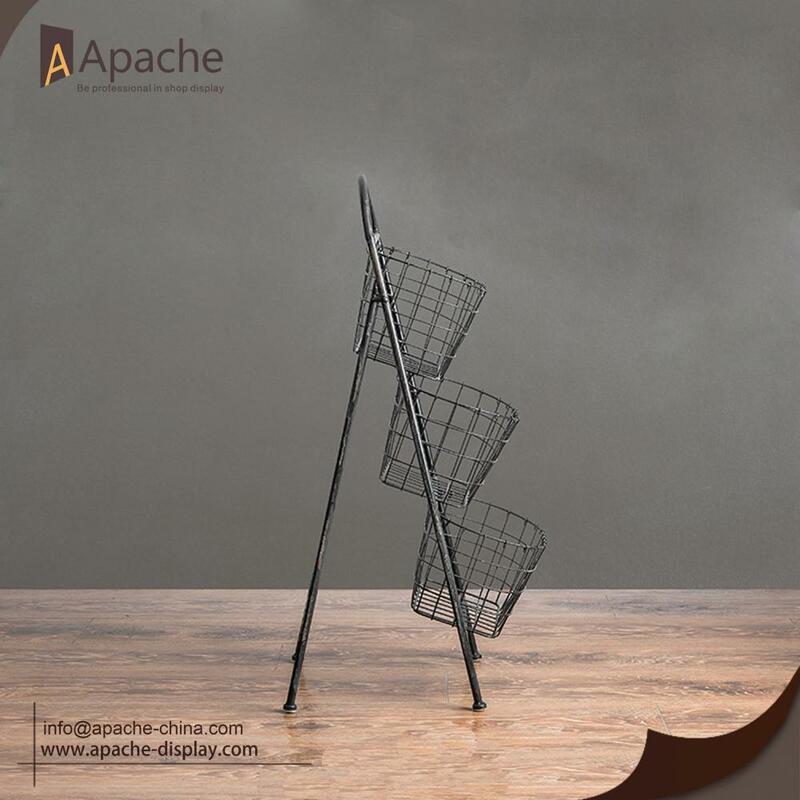 It has industrial loft style and special surface treatment, really fit for home and retail store. If you have any questions,pls feel free contact us. If you have other requirements about the product, pls contact us, we also provide the custom service to our customer, we will provide the best service, and try our best to meet the needs of the customer. A: We have our own factory,and also have good cooperation with other factory.That's why we are good at making various material display.Q: Where is your factory located? How can I visit it? Looking for ideal Multi-Functional Metal Furniture Manufacturer & supplier ? We have a wide selection at great prices to help you get creative. All the Magazine Wire Display Stand are quality guaranteed. 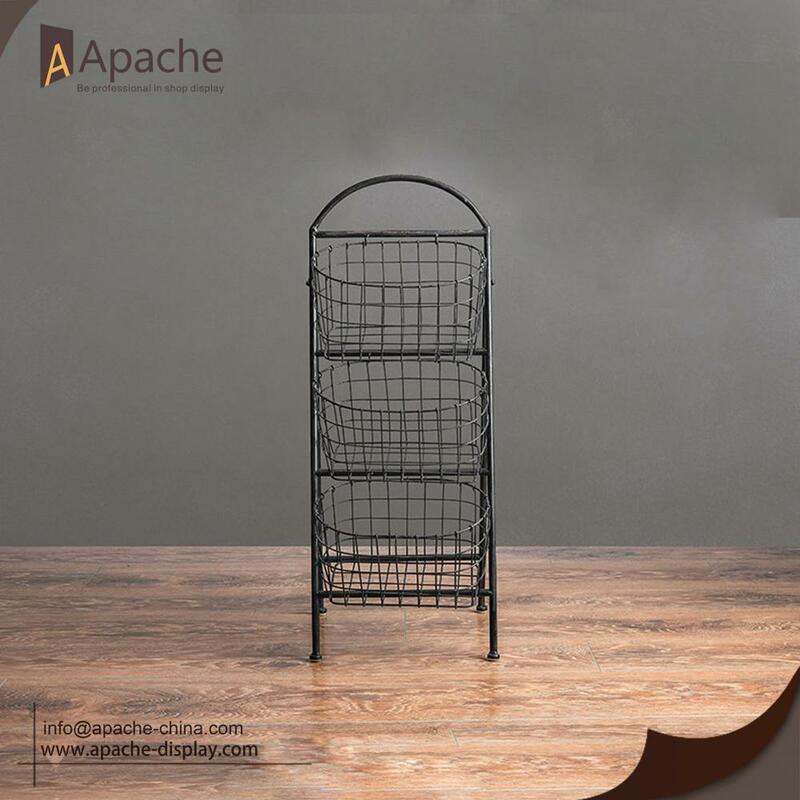 We are China Origin Factory of Storage Rack with Wire Shelf. If you have any question, please feel free to contact us.